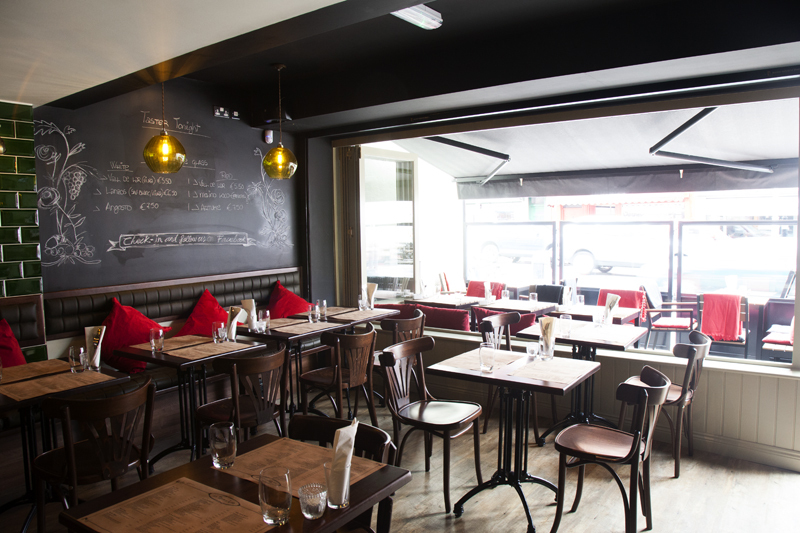 As part of World Tapas Day celebrations, we had a catch-up with thetaste.ie.. have a read here or check out the link below..
Just where Wexford street meets Camden Street you’ll find a little piece of Spain in the heart of Dublin city. With the title Las Tapas de Lola pieced together in an elegant scroll in a mosaic that spans the facade, and a front covered terrace that is made for lazy summer dining, from the street you might just think you have stumbled across a local gem of tapas bar off Las Ramblas in Barcelona. 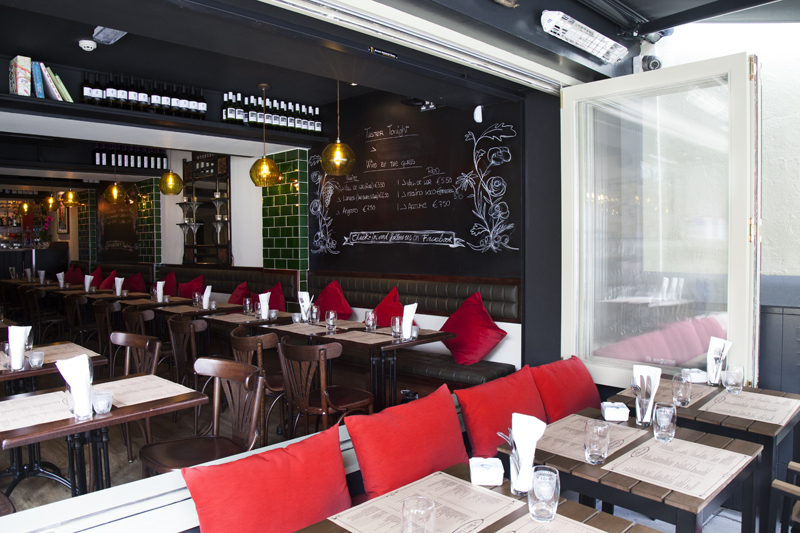 This urban Spanish style extends into the interior, an inviting and charming dining room with bottle green tiled walls and dark wooden furniture, manned by a cast of servers that chatter in Spanish. 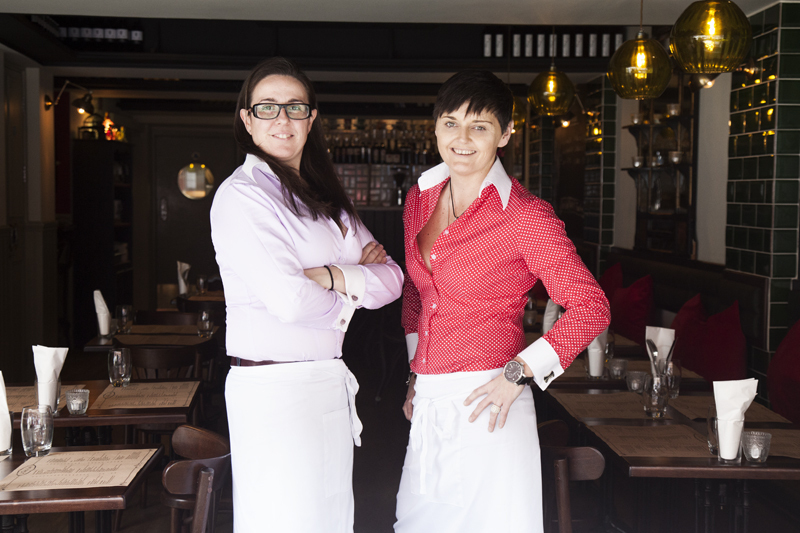 Be it in bar or restaurant form, Vanessa and her partner Anna Cabrera, a native of Barcelona with 15 years experience in the food and beverage industry, had dreamed of opening somewhere to share their love of tapas with the people of Dublin. When the recession hit they decided they had nothing to lose, and pooled their resources and expertise in hospitality and business development, and Las Tapas de Lola was born in 2013. Vanessa, who studied Spanish in college and spent every year since travelling to and from Spain in search of the perfect tapa, says opening a tapas restaurant was an obvious choice for them. “The main reason we opened tapas restaurant is because we love them, we love Spanish food, and there were days when you just wanted certain tapas but you just couldn’t find them in Dublin.” “The only way to get them was to open our own restaurant,” says Anna, “serving the food that we really wanted. The menu is all our favourites.” “And the Irish love to travel to Spain, they love Spanish food. It was a no-brainer,” adds Vanessa. Before they opened the pair wrote down every single tapas that they loved, after that, for over three years in the run up to opening in 2013, mostly due to waiting for planning permission, every spare moment they had they visited Spain to try and find best version of their favourite tapas. “Each of the 54 dishes on the menu has a story behind it,” explains Anna. We’ve tasted every dish somewhere at a local bar, or had it in front of the beach. There is always an image attached to the dish, you know how it has to taste, and you know how it has to look. For authenticity, and flavour, and difficulty sourcing certain items, every Spanish ingredient is imported from Spain. “So the chorizo, the morcilla, which is Spanish black pudding, or the pimiento de padon, anything like that. Then anything else that’s fresh produce we buy locally,” explains Vanessa. “We try to get the best of Ireland and mix it with the best of Spain,” Anna says. Since they opened the street-scape of Camden street has evolved into one of Dublin City’s most pulsating arteries of new restaurants and bars. 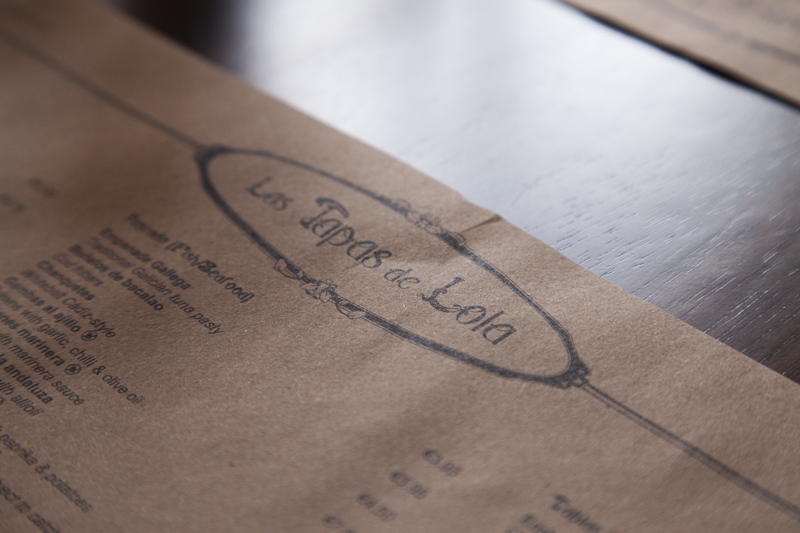 Las Tapas de Lola has established itself as a pulse point, and Anna and Vanessa take a “the more the merrier” attitude to what others might see as their competitors. We did a business plan before we opened, and while most business plans look at the competition we said no, the more fantastic places open the more of a destination is created. When somewhere new opens we hope it will be great because it creates a hub, and it creates more ambiance and atmosphere. Also, we are locals, so if I have some time off we have somewhere good to go and eat! The couple admit that they work 7 days a week. “At the moment we close the restaurant to take a day off together!” Vanessa laughs. Those closures are strictly limited to Bank Holidays Mondays and Tuesdays, and the first two weeks of January which they set aside for their annual holiday. On the suggestion that their lifestyle is in any way a hardship though, the pair simultaneously exclaim that they love it. “My favourite part of the days is service,” Anna gushes. If I didn’t love it I couldn’t do it. When we opened the restaurant, we said we opened the doors to our house, because before we had the restaurant we entertained people in our house, now that we have the restaurant we entertain people here.